So you’d love a small BMW but don’t like the 1-series’ impractical coupe body? You fancy yourself young and sophisticated and would buy a 135i if you could just get it in chic hot-hatch form? Well, we have good news: come this fall, you can get a subcompact 1-series hatchback with either four- or six-cylinder firepower. Even better news: it’s cheaper than the 1-series coupe. 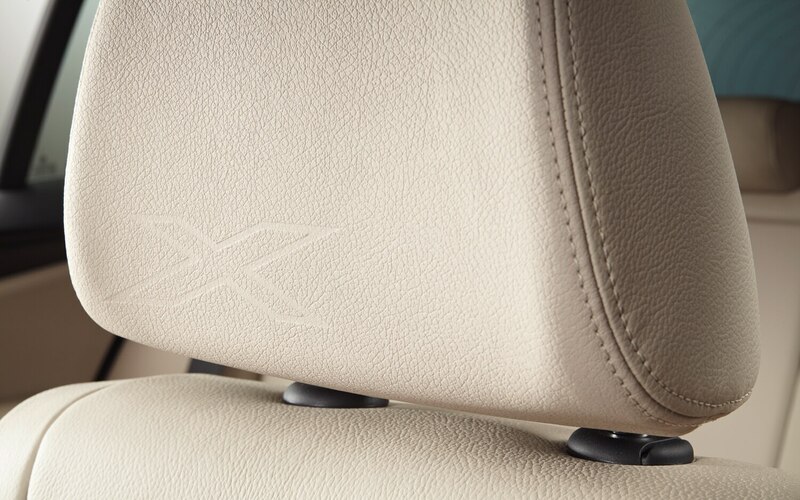 Here’s the catch: you’ll have to put up with an X badge, which of course means the new 2013 X1 isn’t just a 1-series hatch, it’s a 1-series hatch with a lift kit. A crossover, if you will. Oh, you think crossovers are stupid and you’d rather just have the hatch? Then you’re probably not going to like the mandatory automatic transmission, either. What looks at first like it might be the OMG RWD BMW GTI we’ve wanted for so long isn’t actually a car for enthusiasts — it’s an aspirational vehicle for when your girlfriend’s paychecks outgrow her Honda CR-V payments. Shame, that, because even though the X1 doesn’t strike us as an enthusiast-friendly vehicle, it goes like the dickens. If you can overlook its crossover-ness (or look over it, as the X1’s roof is 4.3 inches lower than a CR-V’s) you might just like it. 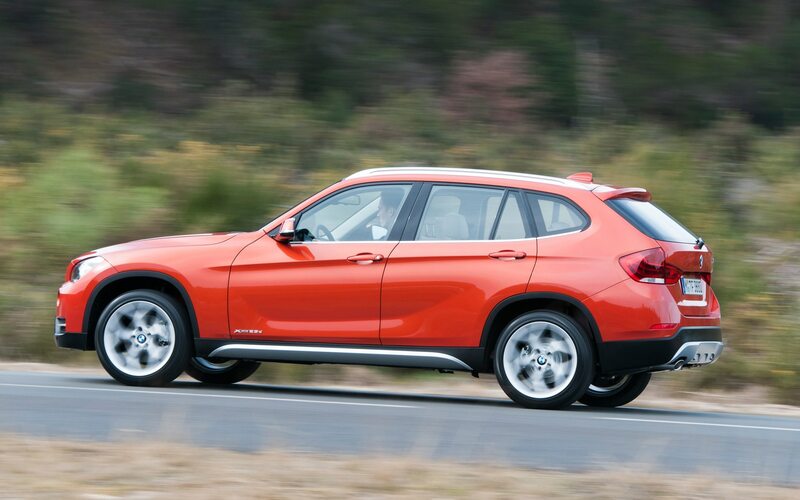 The base X1 — available for just $31,545 — undercuts the 128i by $550, making it the least expensive BMW available in America. Filling barely half of the long engine compartment is the delightful N20 2.0-liter four-cylinder turbo engine, whose 240 hp and 255 lb-ft of torque more than fill the rear wheels with anger. 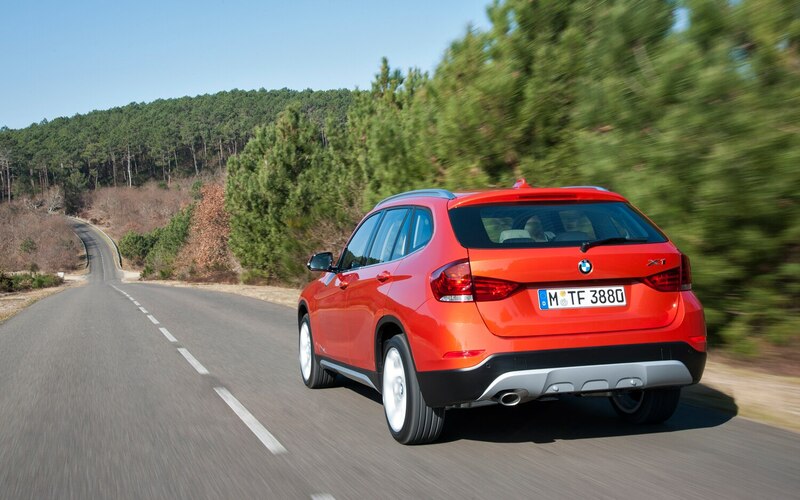 Yup, the X1 is the first rear-wheel drive BMW to wear an X badge. That’s cool, except you won’t want this X1. It gets the best gas mileage (the Bavarian crystal ball predicts 24/33 mpg EPA ratings), but it’s not the drift machine the rear-wheel drive layout implies. Even when turned off, stability control will allow no silly sideways shenanigans. And when you’re driving along like a nun, you’ll be praying to your local deity for some steering feel — electric power steering has sacrificed it in the name of saving dinosaur juice. 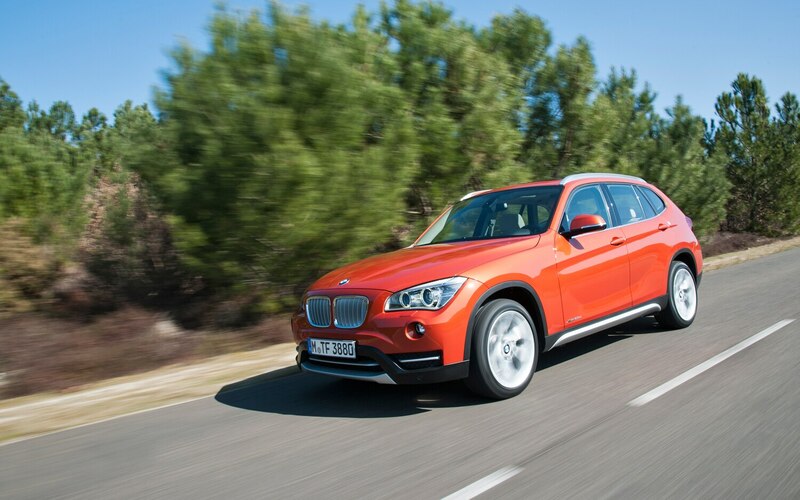 So that leaves the X1 xDrive28i, the $33,245 base four-wheel drive version. Sure, it carries a $1700 premium over the rear-drive X1 and it loses 2 mpg city and 3 on the highway, but the extra dough and gas is worth it for the steering alone. 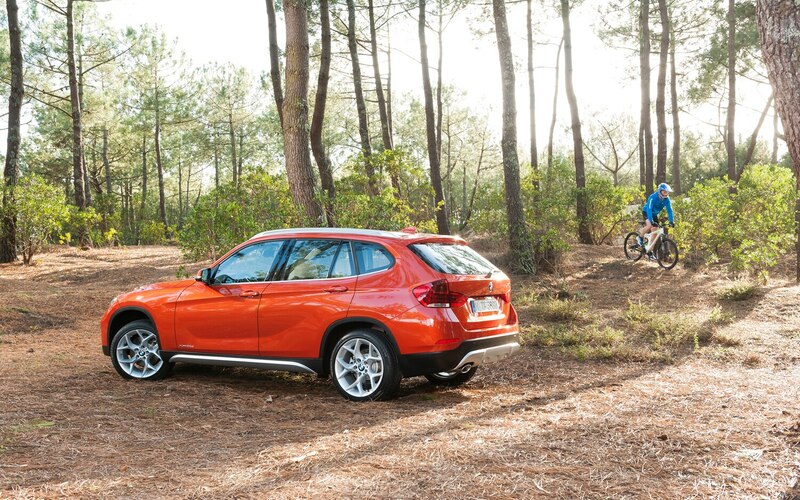 See, the X1’s four-wheel drive system resides in the place where parts of the electric steering system go — so xDrive X1s have good, old-fashioned hydraulic assistance. If you’re sitting at home and wondering why we’re continually mourning the disappearance of hydraulic steering, go drive these two X1s back-to-back. The difference is like trading in your favorite late-night 1-900 number habit for a real girlfriend. Only one of them touches you back. If you’re a rear-drive purist maniac at the helm (and we’re not judging here, either), you might want to invest in the M Sport Package so you can get BMW’s Performance Control. That changes the AWD system’s steady-state cornering balance by sending eighty percent of the engine’s power to the rear. Paradoxically, it also includes staggered tires that induce howling understeer. Well, you can fix that with aftermarket wheels. But wait, there’s more! BMW is giving us a little present for having waited so patiently for the X1. See, the subcompact crossover went on sale in 2009, but worldwide demand was so great that there was no production capacity left for us. A new plant has just come online to manufacture Chinese-market X1s in China, and the freed-up capacity in BMW’s Regensburg, Germany plant is now at our disposal. 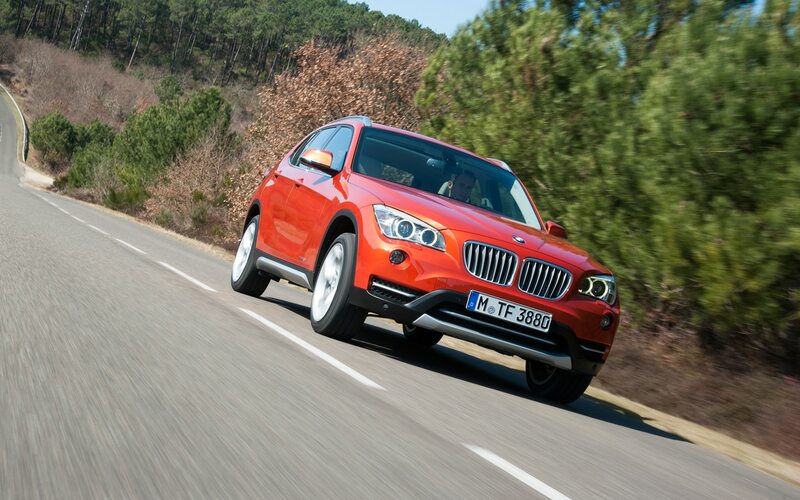 The gift for waiting is six delicious cylinders under the hood — an engine that no other country will get in the X1. 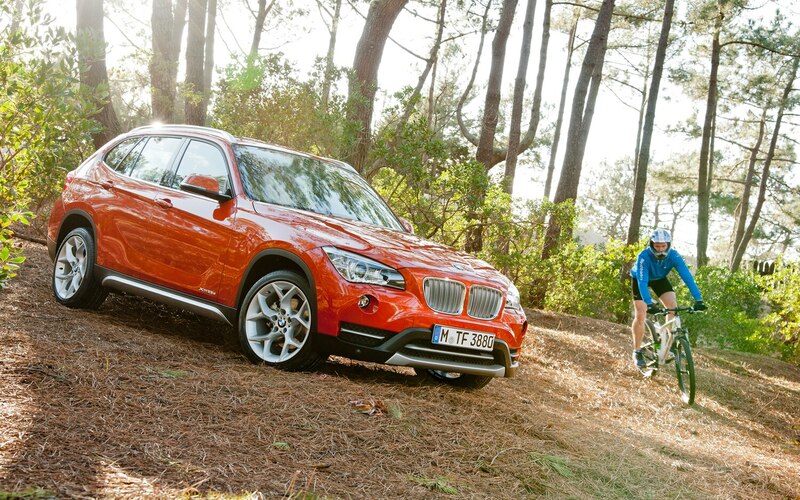 The X1 xDrive35i comes exclusively with all-wheel drive and costs $39,345. (That’s $850 cheaper than a 135i with rear-wheel drive, by the way.) In place of BMW’s new (and still somewhat cumbersome) shifter is the old PNRDL — and that’s a sign that you’re also getting last-generation goods in the transmission department too. See, the 300-hp N55 straight-six is bolted to the old six-speed automatic, which was the benchmark transmission in its day. By contrast, the four-cylinder gets ZF’s latest 8-speed, which is the benchmark transmission today — and there’s a lot more going on than just having two additional gears. 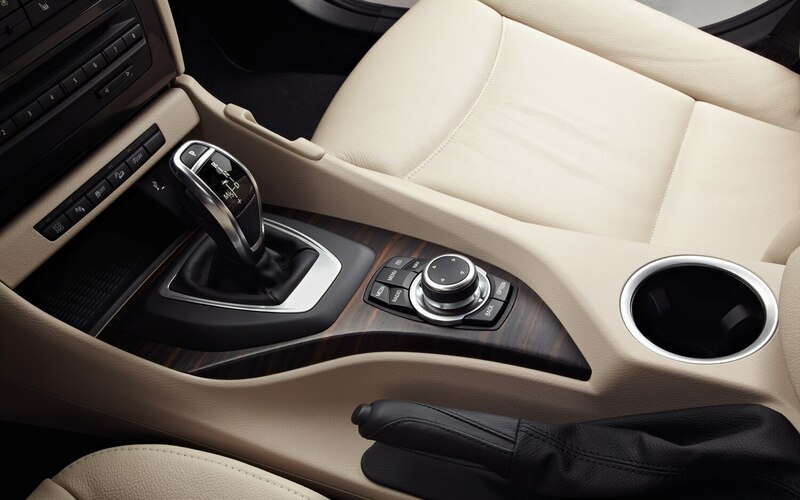 First, the 8-speed can tolerate automatic start/stop — which helps fuel economy in city traffic. 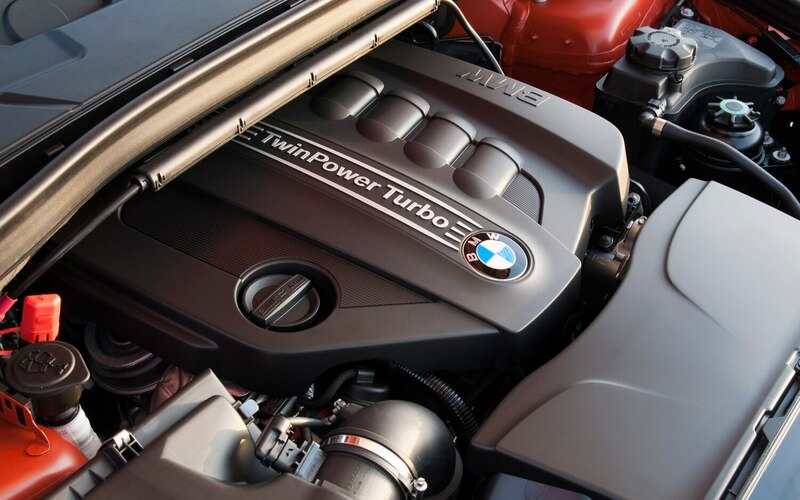 The turbo four produces only about fifteen percent less peak torque than the six, and it weighs considerably less. As a result, the 35i feels no faster off the line, and its six-speed transmission has a much shorter top gear — meaning the six-cylinder is spinning much more quickly on the highway. That doesn’t help efficiency, and EPA ratings drop accordingly. BMW says the six is a full second faster to 60 mph (achieving the stunt in 5.3 seconds versus 6.3 for the four-wheel drive four-cylinder) but it sure doesn’t feel faster. 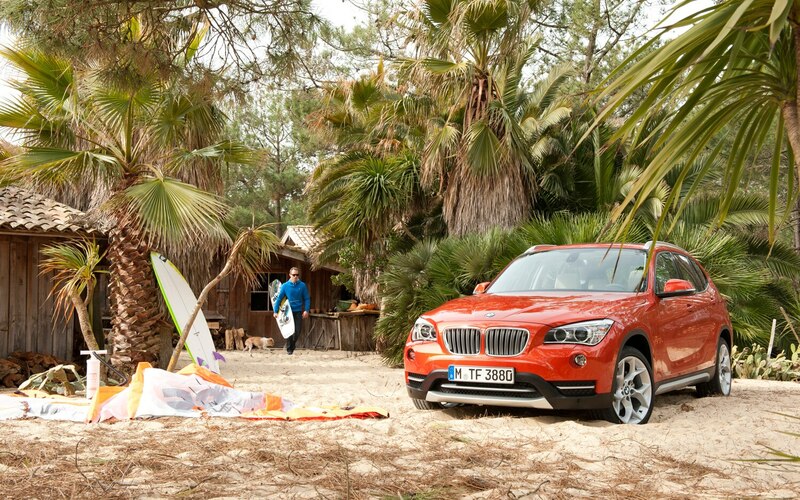 The four-cylinder xDrive28i is definitely the X1 to get. 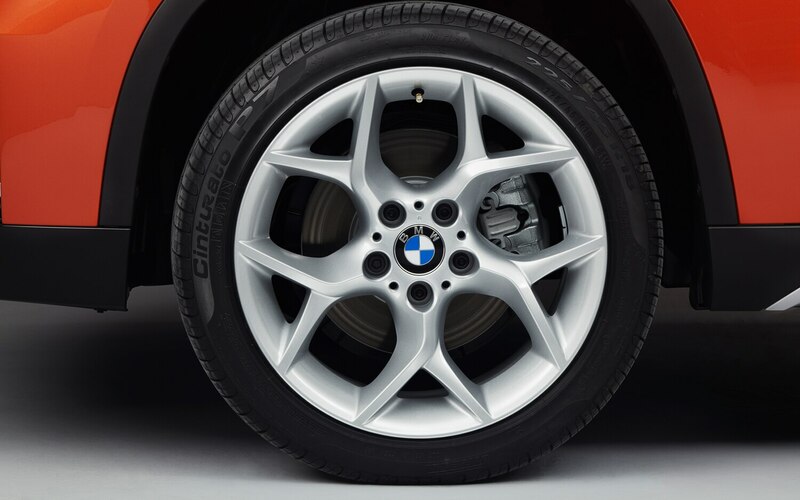 Finding a pothole on a German road is like discovering a smooth road in Manhattan — not going to happen — so we’ll know more about the X1’s ride once we drive one at home. It felt firm but not harsh, however, and the remainder of the X1 works extraordinarily well. The cabin is well finished, with only the occasional hard plastic to be found. The rear seats are split 40/20/40, and fold flat to create a large load floor. The total cargo capacity isn’t quite as large as the upcoming 3-series wagon’s, but if buyers really cared about rational things like practicality, we’d all be driving wagons and hatchbacks, not crossovers. 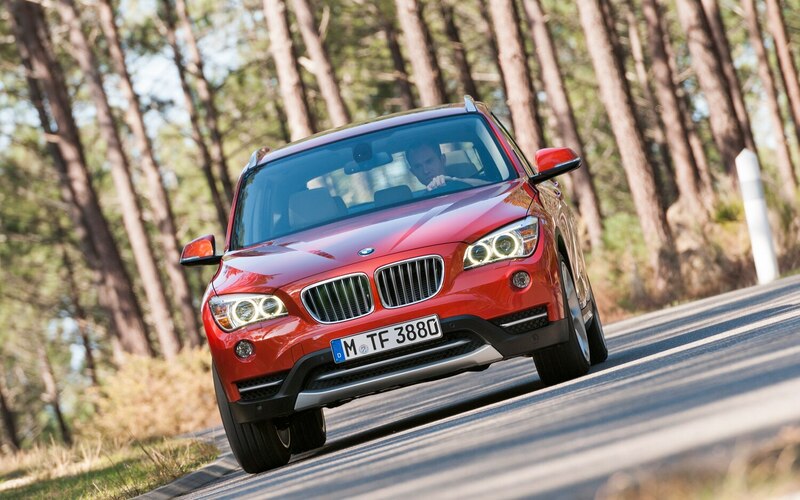 Best of all, the X1 is based on the 1-series, which means itself was based on the last-generation E90-chassis 3-series. 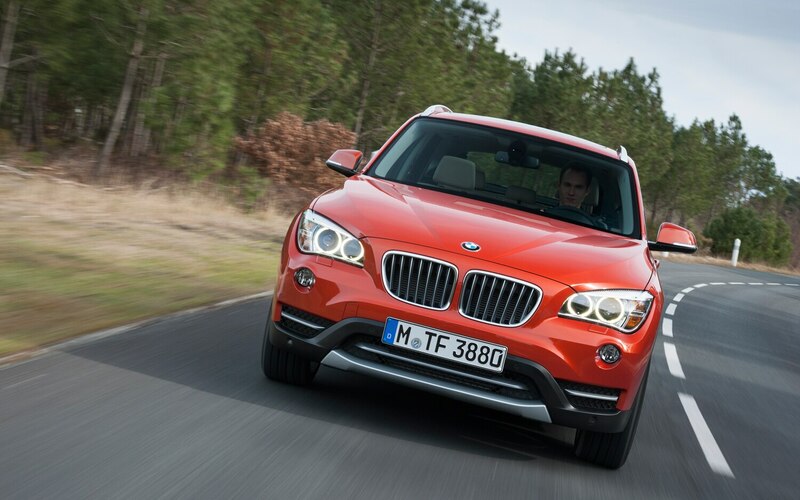 Getting some seat time in the X1 reminded us just how much better the old 3-series worked. Sure, it doesn’t have quite as many gadgets and gizmos — and neither the 1-series, the X1, nor the old 3-series is as pretty as the new 3-series — but those earlier cars have a fundamental, built-in “just right” factor. The steering, the brakes, the ride, the handling, and all the secondary controls and instruments just feel perfect. 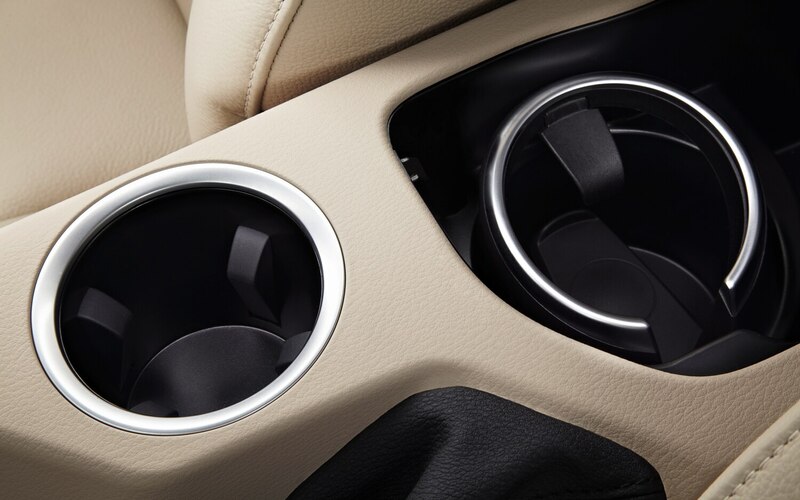 The volume control is on the correct (left) side of the steering wheel; the cruise control is an easy-to-operate stalk. You don’t have to select some ridiculous “Eco Pro” mode to save fuel or “Sport” to waste it — you just start the X1 and it drives right. Just like the last 3-series did. 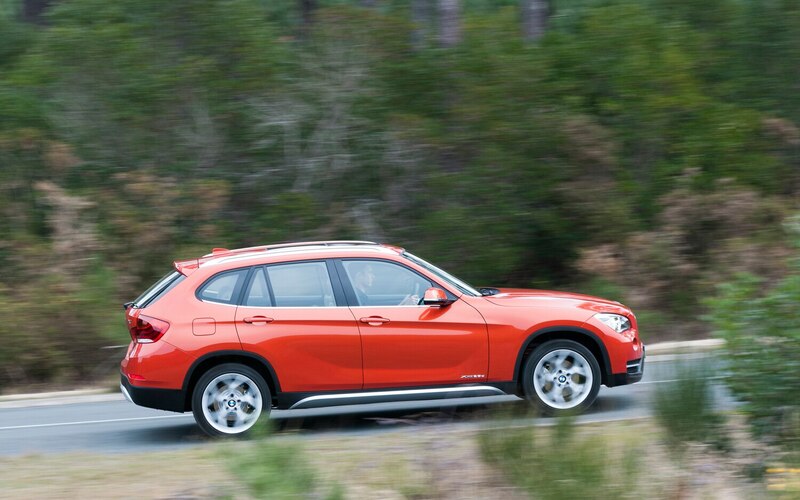 So if you’d like to have a hot-hatch based on the last 3-series, but with BMW’s latest generation of engine and transmission, the X1 xDrive28i makes one hell of a package. Even if it’s not the quite hot hatch you’ve wanted all these years.